I spotted a new BBQ place called Firehouse the other day on 21st South and had to pop in and check it out. 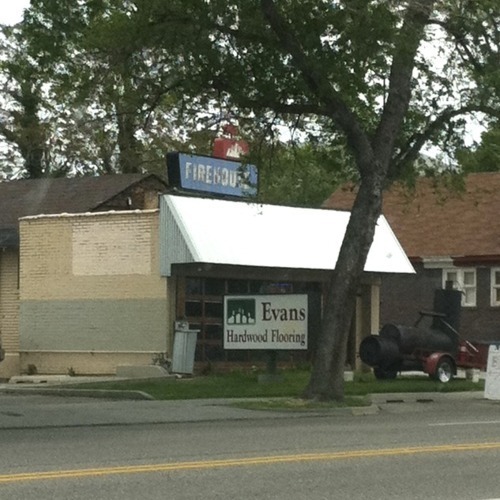 Their building is one of the more interesting setups I’ve seen, sharing half the building with a hardwood floor sales office, and their smoker is right out next to the sidewalk. Firehouse was started by three guys with various experience in the BBQ world. 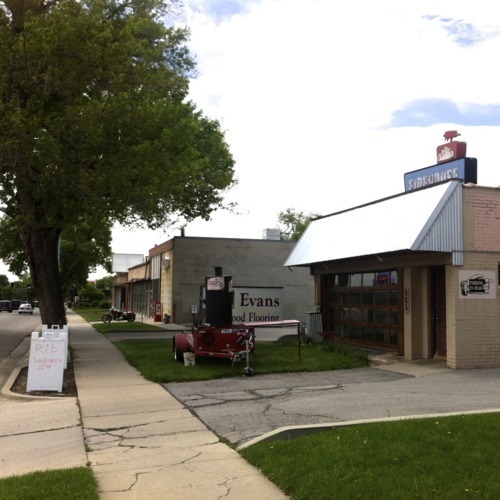 “Tornado T” Tom moonlights at Hog Wallow, and Mark and Robert were associated with the old Bubba’s and Firehouse BBQ on 4300 S 900 E (currently Stella’s). These guys are serious about their Southern Texas Style BBQ. 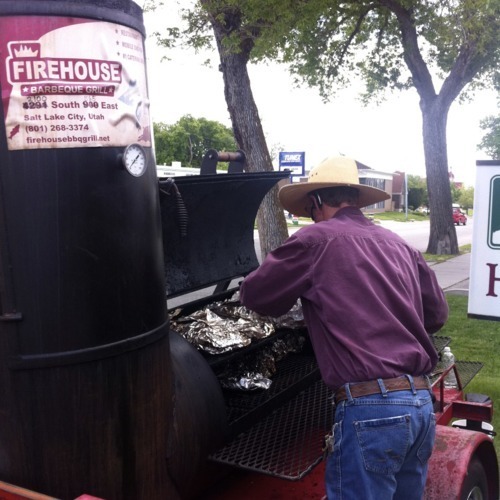 They are in the process of installing “Salt Lake’s only” open BBQ pit, according to Mark. They have only been open a week, so naturally they are working out the kinks with seating and service, but if these guys can iron those issues out, they’ve got something really good going on here. Again, don’t show up expecting a sit-down meal. As of right now, it’s limited to carry-out orders while they finish the interior of their shop. Once it’s completed they’ll have a few tables to sit down. Their prices are right on target. When I stopped by, they were offering their rib sandwich for $5. Ribs are $3 each. The menu is dead simple, offering three entrees and two options for sides. Try their “Shawn’s Slaw,” an asian-inspired cole slaw with mangos and peanuts. Open Monday through Saturday 11 am to 7 pm. Cash only.